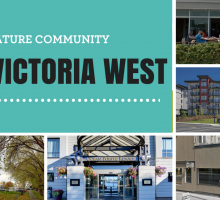 Depending on where you live, you may not always have the luxury of large spaces. Small affordable apartments tend to have less rooms and less room in those rooms, making it essential that you use every square inch effectively. 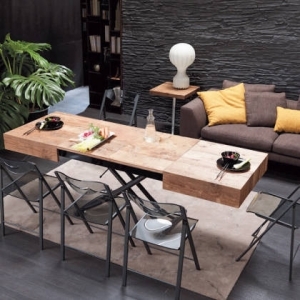 Have you heard of multipurpose furniture pieces? These awesome inventions take an everyday piece of furniture and turn it into another useful item, eliminating the need for more furniture. 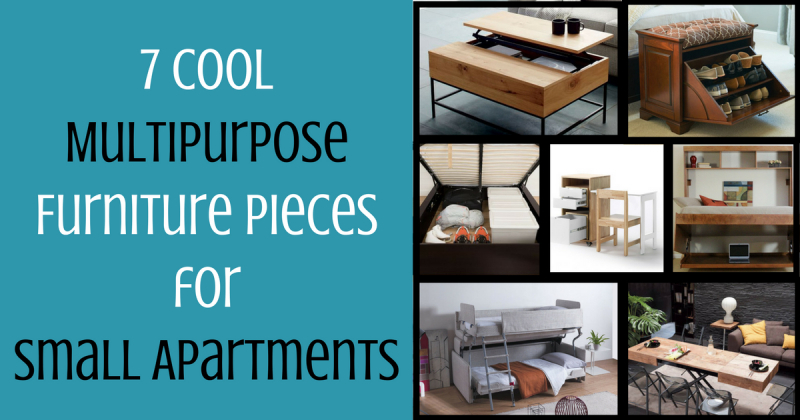 Check out these 7 cool multipurpose furniture pieces you can use for your small apartment in Canada! When you have a small space to work with, square footage needs to also include those areas off the floor. 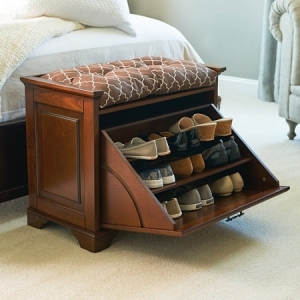 Why not look into furniture that doubles as storage? 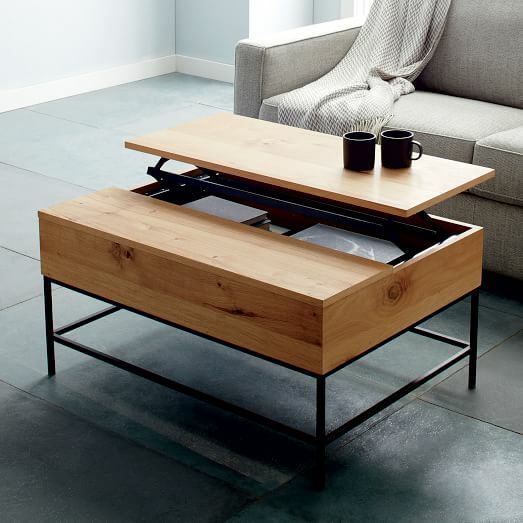 This multipurpose coffee table helps store loose items and keeps them out of the way. Fill it with books, blankets, or even serving dishes that don’t fit in your kitchen. If space is really limited, you can use the lifted plank as a desk as well! This coffee table/desk will maintain a tidy looking living room and acts as a stunning piece to feature amongst your other furniture! If your problem is shoe storage, look no further than the “Essex Tilt-Out Shoe Bench.” This cute bench adds seating to your front entry (or bedroom), and also stores all (or some) of your shoes. Holding up to 9 pairs of shoes, the front panel pulls out for 3 organized rows of shoes. Depending on the style of your home, you can choose from 3 different wood finishes. 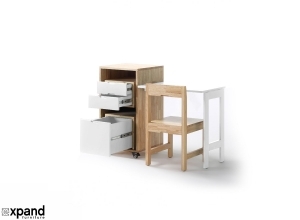 A beautiful multipurpose furniture piece for your small apartment! If your apartment does not have any storage, it can be hard to find a place to put all of your seasonal clothing, décor, and excess ‘stuff’. Most beds have a bunch of empty space underneath, so why not invest in something that takes advantage of that space? 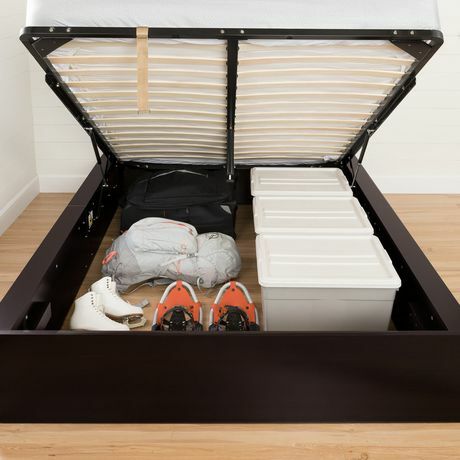 The Queen Storage Bed is the perfect option to store away all your unneeded items, keeping them in a place that is easily accessible. If your apartment closet is too small for all of your clothes, you can even add bins under the bed to stay organized. Say goodbye to clutter and hello to organization! 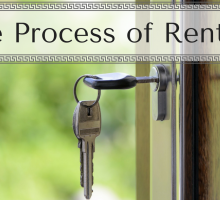 Are you renting an apartment with only one main area, resulting in you eating on your couch? 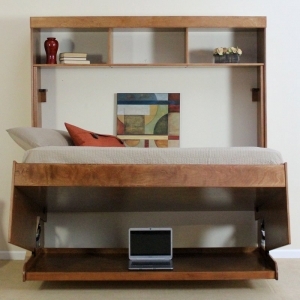 That no longer is a problem with this amazing and compact piece of furniture! Fold this table down for a coffee table or build it up to use as a full-size table or desk. Have some folding chairs nearby and your table solution is complete! In addition, there are two self-storing leaves that lengthen the table, perfect for having company over for dinner! If you are a person who likes to host and have family over for the holidays, tight sleeping quarters may be something you are familiar with. With the Palazzo bed, you no longer have to worry about blowing up mattresses on the ground. 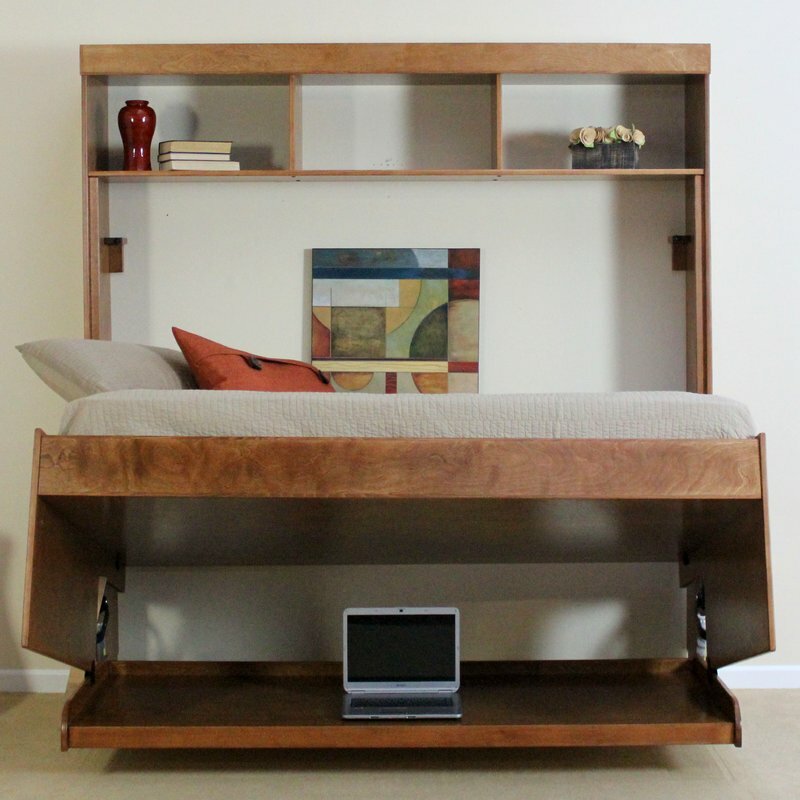 This comfortable sofa easily turns into a secure bunk bed! The Palazzo bed is a wonderful alternative to taking up needed floor space and ensuring that your guests are comfortable throughout the night. And when they are gone? Lounge out and relax after a quick transformation to it’s couch form. 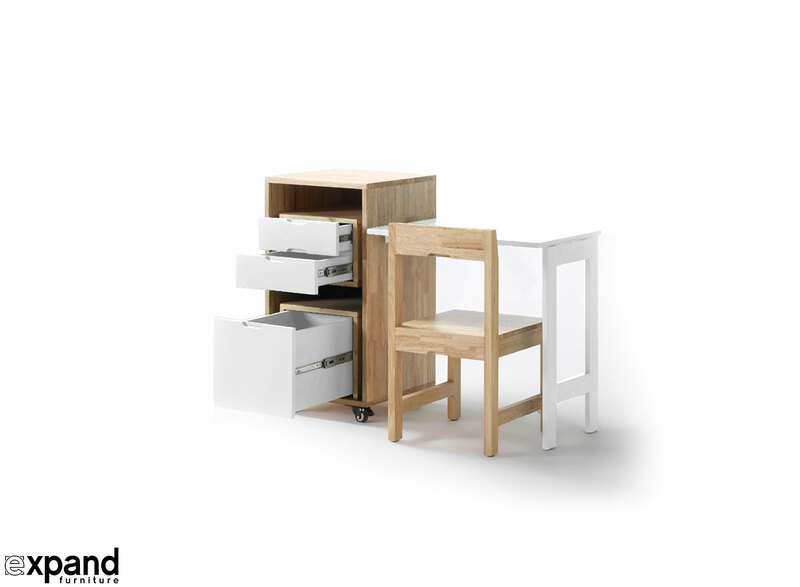 If your small apartment doesn’t have an office, the Ludovico office is your multipurpose furniture solution. All contained in a single boxed storage unit, you have access to a desk, chair, shelf, and drawers. 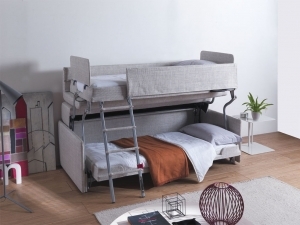 Instead of using large separate pieces of furniture that take up half of the room, this multipurpose furniture option saves space by keeping it in all one compact location. 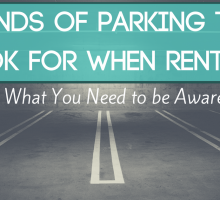 Does your rental have a small deck or balcony? 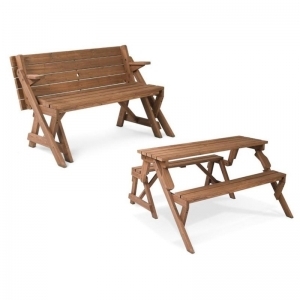 If so, get yourself this multipurpose furniture piece for the outdoors! This amazing piece is both a bench and a picnic table, transformed by quickly folding the movable pieces. The bench/picnic table is ideal for decks or balconies that have little space but are used for group entertainment. Now you have the option for outdoor meals or sitting and gazing out at the stars!